All of us know the phrase, “you are what you eat.” But what you may not have known is that food intolerances may be affecting you more than just an upset tummy! 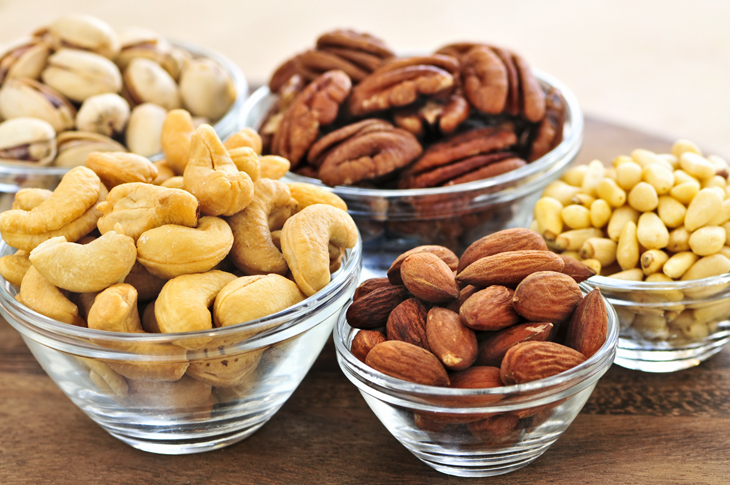 New research is suggesting that food allergies mayinitiate an inflammatory response within the body.If the inflammation persists, it may contribute to Alzheimer’s, eczema, depression and arthritis . Food allergy treatment has been shown to have fantastic results for a range of conditions. It can contribute to improved concentration, sleep and memory, as well as decrease your risk of hypertension, diabetes mellitus type 2, atherosclerosis and depression .Children with ADD who were treated for their food allergies experienced an improvement in their symptoms of more than 50% in over 73% of the participants . These results are similar to those of ADD prescription medication, only minus the side effects ! Do you suffer from food allergies? Or are you simply interested in finding out how to get the most out of your food? If so, call our practice now on 03 9095 7990 to arrange an appointment. The inflammatory process is the body’s attempt at healing itself. It aims to breakdown and remove any toxic products,as well as facilitate repair of the damage. It is a cascade effect: certain chemicals are released, which cause the release of more chemicals, which cause the release of more chemicals in a domino-like pattern. Multiple cells and organs are involved in the process.Signs of inflammation may be incredibly blatant, such as the large degree of swelling, heat and redness in a knee joint following injury or infection, or it may be less easy to see. However, in some instances, inflammation actually causes more harm than good. If you’ve ever twisted your ankle, or fallen on your knee, you know what I’m talking about. The sheer amount of swelling in these types of injuries actually ends up further irritating the adjacent structures, so that the area becomes even more painful! In these circumstances, health practitioners commonly recommend the application of ice, as this slows down the inflammatory process. Inflammation is also harmful when it lingers. A range of conditions including migraines, arthritis, Alzheimer’s, eczema and diabetes mellitus type 2 have all been linked with chronic inflammation. In Alzheimer’s patients, these inflammatory effects not only aggravate symptoms, but are also involved in predisposing individuals to developing Alzheimer’s at a younger age. But what is the link between food allergies and inflammation? Although it is still not fully understood, researchers suggest that in those individuals suffering from food intolerances, eating certain foods trigger inflammatory reactions as the body tries to deal with the offending substance. And it affects more than just your tummy. One study showed that 73% of coeliacs who continued eating gluten experienced decreased blood flow to their brain . What was really interesting, however, was that when coeliac patients stuck to a gluten-free diet (ie. removed the trigger food), this figure decreased to 7% . For a majority of people, diagnosing food intolerances is basically all trial and error. The patient is placed on restrictive diets and then re-assessed for symptomatology. Because testing can be quite unreliable, the exact statistics of people who suffer food intolerances remains unknown. If you suspect you may have a food intolerance, it is worth discussing your options with your health practitioner. To find out more about food intolerances and its effects on brain and body health, call our practice now on 03 9095 7990 to arrange an appointment.